Today I have two cute projects to share with you. Yainea created this card using our Happy Camper clear stamp set. I love all of the layers. The mountains, lake and clouds create the perfect scene to wish someone a beautiful day. Caryn created this card using our Home Sweet Home stamp set. I love the contrast of the shimmery golds and the pretty blues. Caryn did a terrific job coloring the teepee! For more information, be sure to check out Caryn's blog. I am excited to announce that Melania Deasy has been chosen as our guest designer for May. Congratulations! 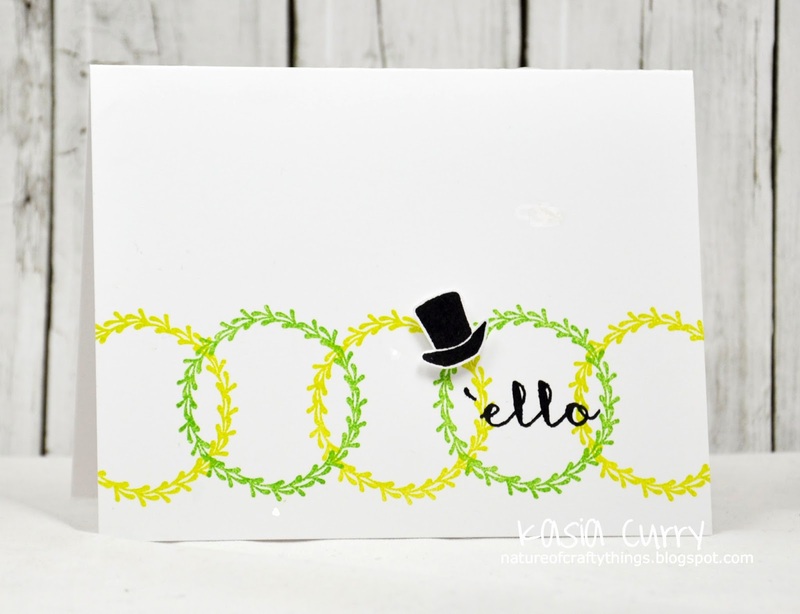 I just love this clever tag and card that she created using our Knotty stamp set. A big huge thank you to all that entered this challenge. We love looking at each and every entry. You are all so talented!! We will be taking a break from having a guest designer search for a bit and will be sure to let you know once it starts back up. Today I get to share this fun card that JJ created using our Needle Little Love stamp set and Needle Little Heart die. I love how bold and graphic this modern rainbow is. So pretty! Today is our last day with our fabulous guest designer Karolyn Loncon. We have been so fortunate to have her with us this month and I have been so inspired by all of her projects. Thank you!!! 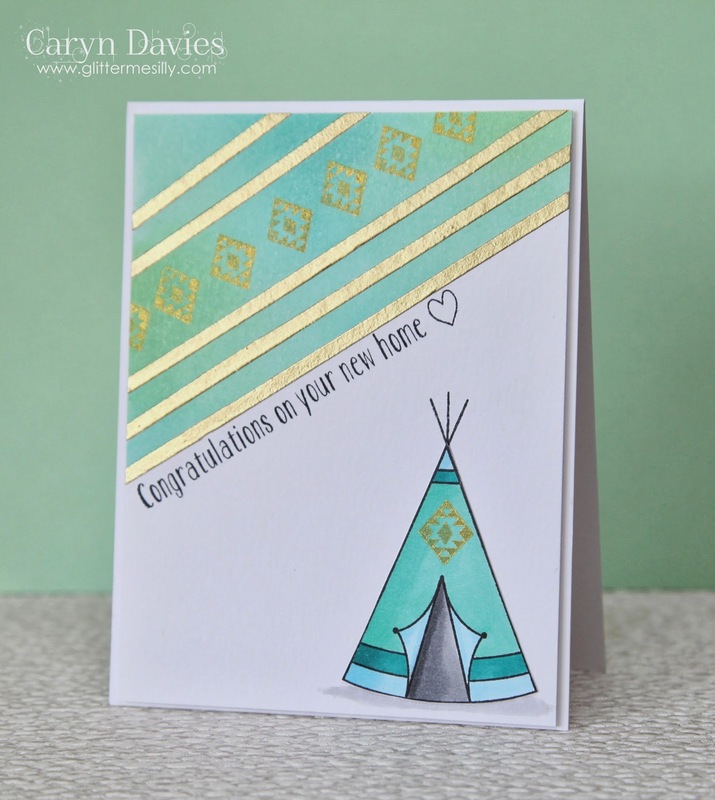 Just check out this fantastic card that she created using our Cake & Candles stamp set. I love the bright and cheery colors. 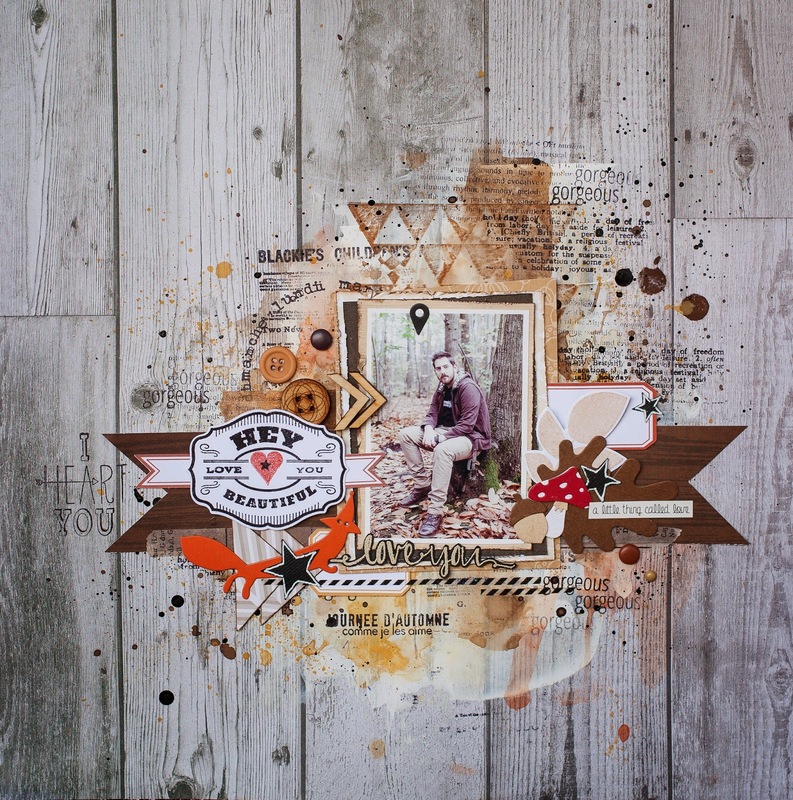 Maska created this layout that features our Simply Said Hello stamp & coordinating die. I love the masculine feel of this page. It is so lovely!! Be sure to check out Maska's blog for more details. Today I have some amazing projects to show you. Chunyuan created these two adorable cards using our Bottle It Up stamps and dies. I love how she created flower bouquets in vases using the set. The banner from Build A Banner is a perfect compliment to the sentiment. 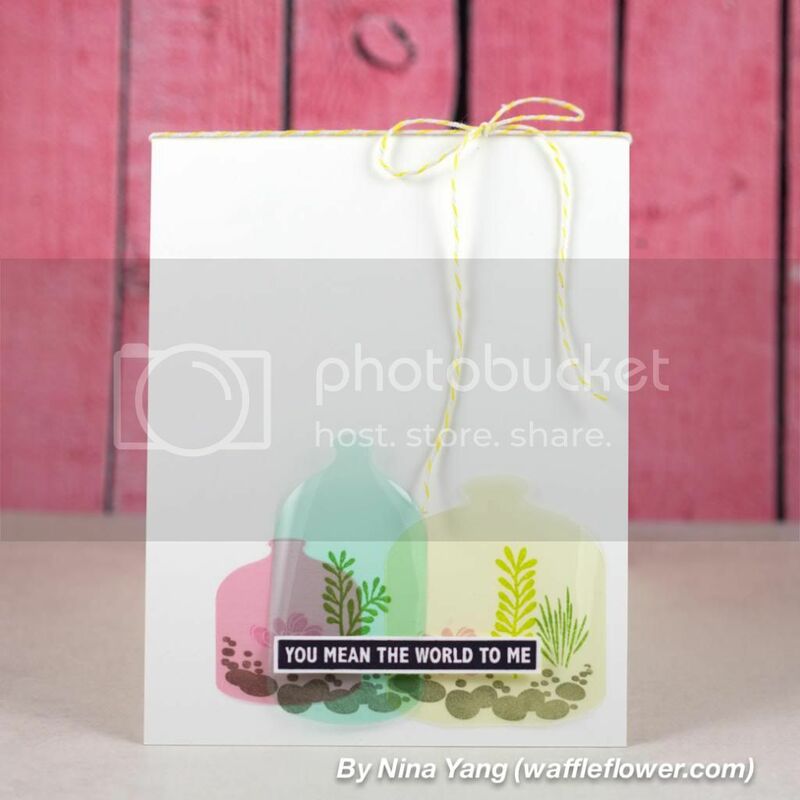 Chunyuan created the cutest message in a bottle below using our Bottle It Up stamp set along with Fanfare waves. I love it! Heather created this pretty card using our Simply Said Hello stamp and die set as well as flowers from Oh Happy Day and tiny polka dots from Texture Tiles: Be Cute. They look perfect together! And last but not least, Kasia created this card using our We Go Together and Build A Banner stamp sets. I love the way she layered the banner and sentiment on top of the images. It is so cute! Today I have some projects to show you and have some announcements to make as well. Nina Yang will be stepping down from our design team and today is our last post with her. It has been such a pleasure working with Nina and I wish her nothing but the best. 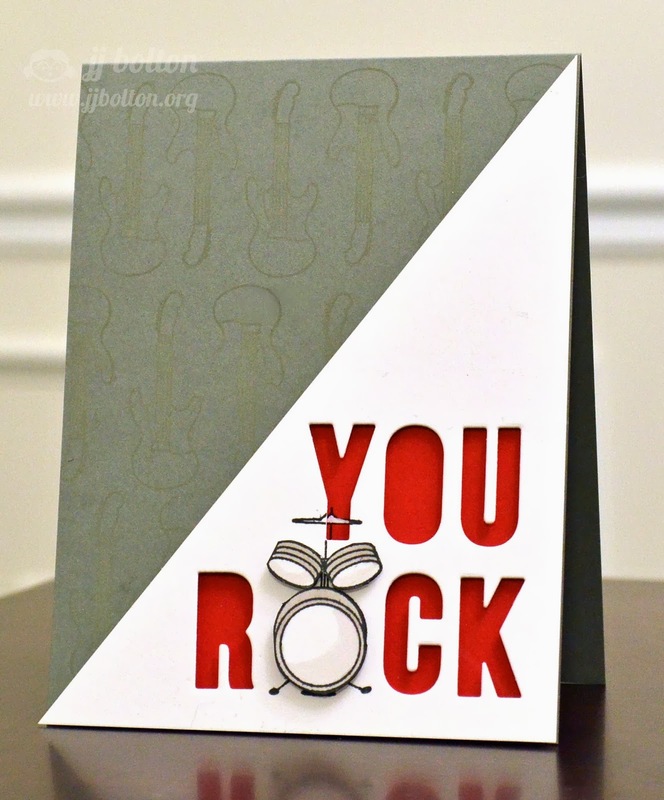 She created this card using our Lucky clear stamp set and I love the retro look. It is so cute! Yainea created these gorgeous projects using our Happy Spring stamp set. I love the card, kraft treat bag and box. What a perfect way to give a gift to someone. 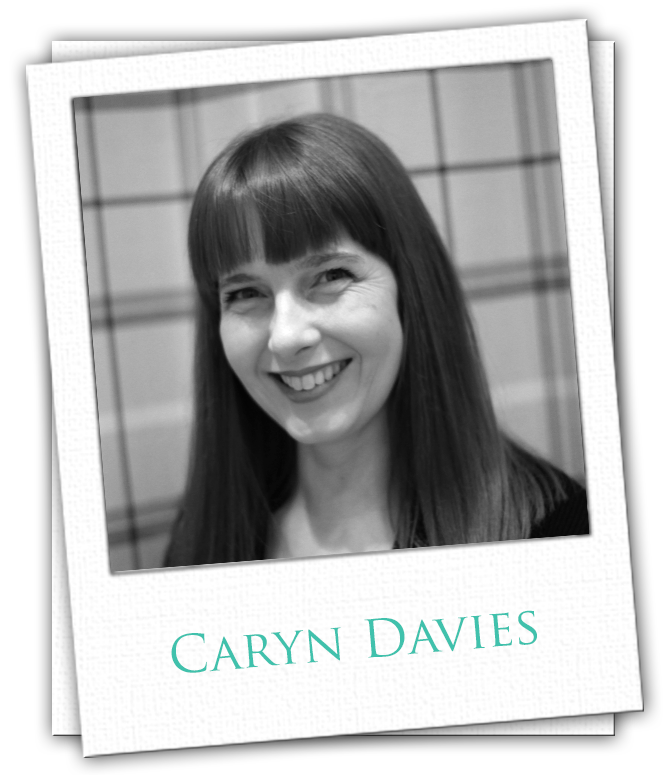 I am excited to announce that Caryn Davies will be joining our design team starting next week. I am such a fan of Caryn's work and if you aren't already familiar with her you are in for a treat. You can check out her work and more at her blog, http://glittermesilly.com/. "I'm Caryn and besides being a lover of all things inky and stampy I am a mum to 5 gorgeous kids and also run the family property business! Originally a "wee Scottish lassie", I now live on the Wirral (near Liverpool) where I love to spend as much time with my family and friends as I can. Don't ask me to describe my card-making style - it changes with the weather!!!!" 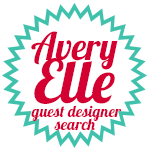 There are also a few days left to enter our Guest Designer Search. Each month we look for one person to be a guest designer for us. The details for that search can be found here http://blog.averyelle.com/. Thanks for stopping by to take a peek! Have a great day! I am popping in quickly today to share these two cute cards with you. 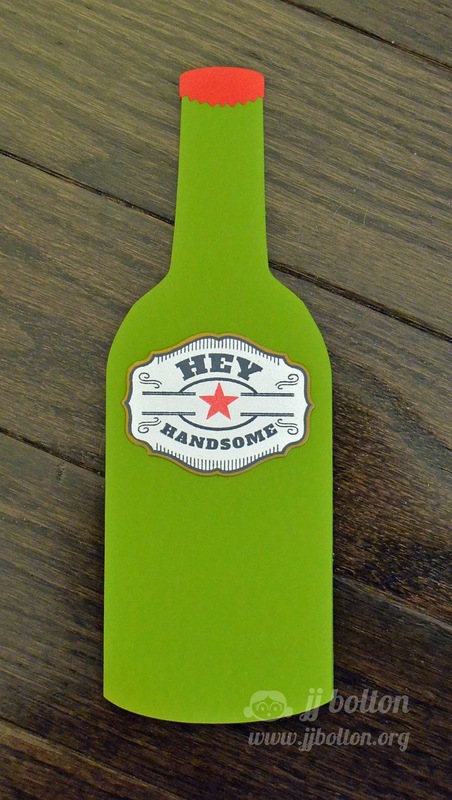 JJ created this bottle card using our Simply Labels Hello Friend clear stamp and die set. What a cute idea. For more details be sure to visit JJ's Blog. 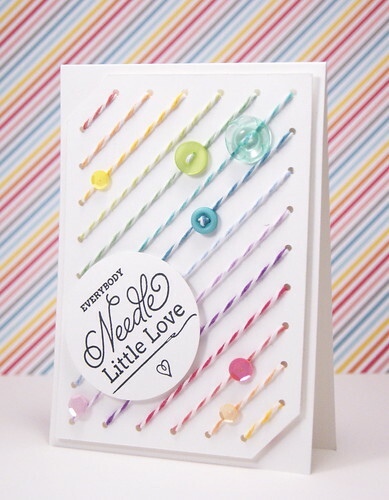 Heather created this sweet card using our Needle Little Love stamp set and Needle Little Heart die. I love it. Today I have two terrific projects created by Karolyn and Maska to share with you. I love this bright and cheery card that Karolyn created using our Simply Said Hello stamps and dies. The glittering sun rays are fantastic!! Be sure to check out Karoyln's blog for more details. 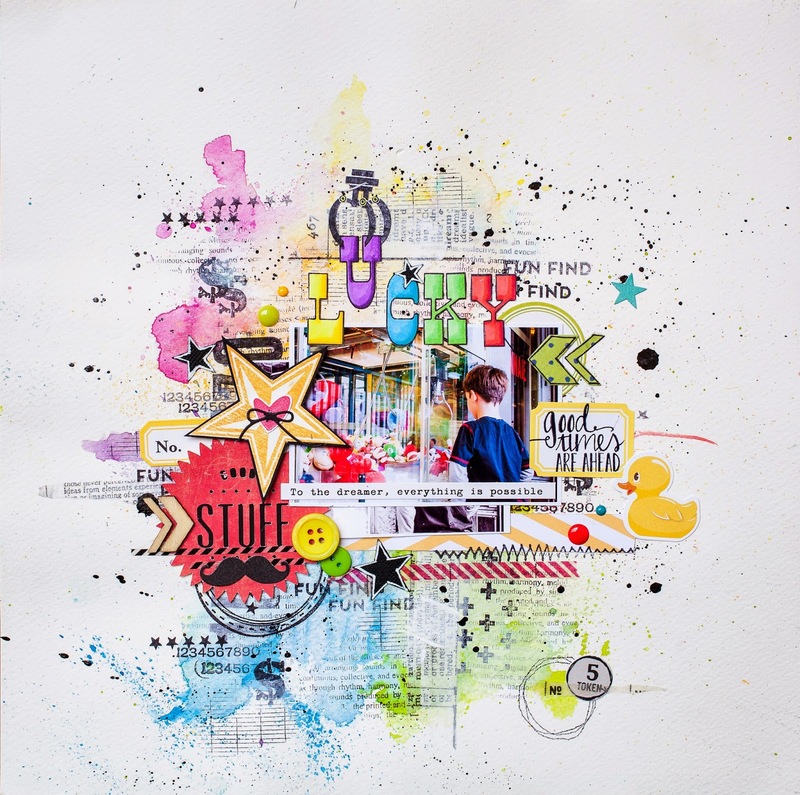 Maska created this fun layout using our Lucky clear stamps. I also spy stamps from our Aim High and Simply Tags Christmas stamps and dies too. I love the combination of sentiments and images that Maska used. Each time I look at it I see something new! You can check out Maska's blog here! Today I have two really cute cards to show you. Kasia created this card using a sentiment from our Cake & Candles stamp set and the candle from our Cupcakes stamp set. Kasia shows how well these sets compliment each other! I just love this! 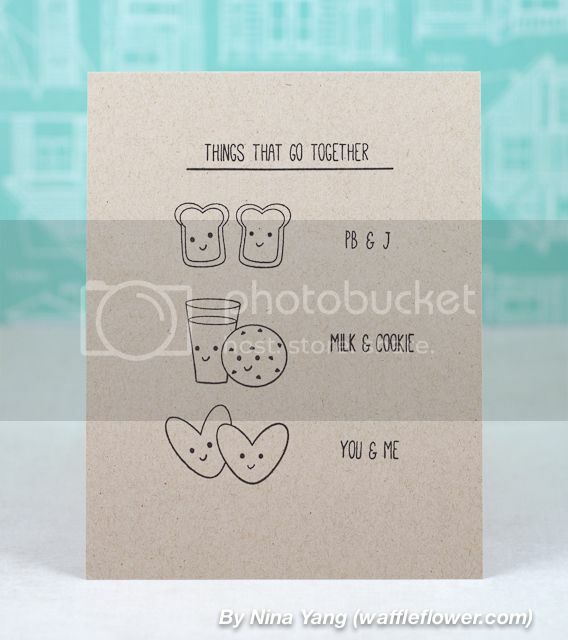 Chunyuan created this fun card using our We Go Together stamp set. I love how she used some of the small stamps included in this set to create the fun heart pattern. So clever. Our Mint To Be, Mimosa, Orchid and Raspberry pigment inks look so great together and play off of the Mint To Be card stock card base beautifully. Today I have two fun cards to share with you. We are so lucky to have such an amazingly talented team! 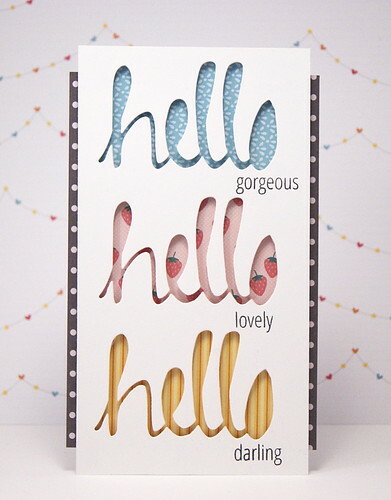 Yainea created this lovely card using our Simply Said Hello stamp and coordinating die set. I love the combination of patterned papers she chose. Who wouldn't want to receive a card like this?! 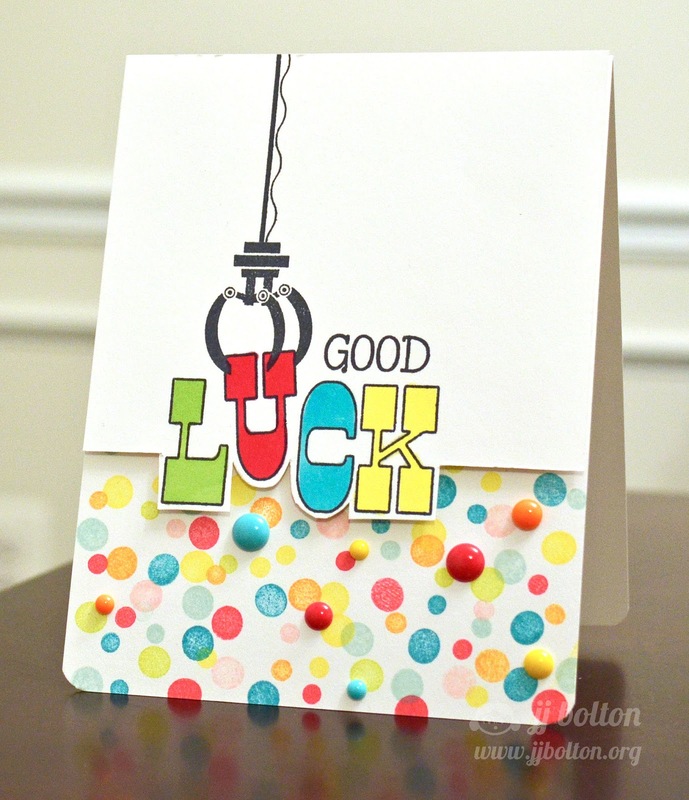 Nina created this card using our new Bottle It Up stamp and coordinating die set. I adore the layered and fresh look that she came up with. The sentiment from Love Notes is a great compliment to the images as well. Do You Like Challenges & Winning Stamps? Did you know that we also have a Guest Designer Search here on this blog? Each month we look for one person to be a guest designer for us. The details for that search can be found here http://blog.averyelle.com/. Thanks for stopping by to take a peek. Have a great weekend! Today we have JJ and Heather with three great projects. 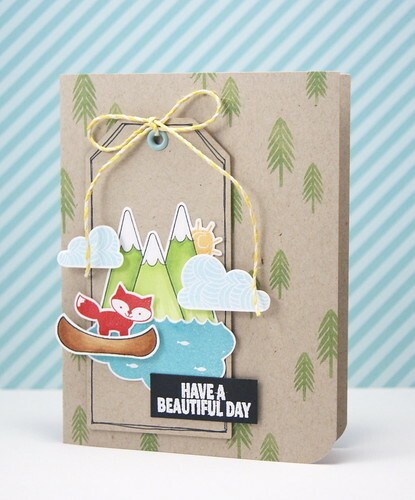 Heather created this Up inspired card using our Simply Labels Hello Friend stamp and die set. How cute and creative is this? We displayed this card at CHA and EVERYONE adored it! Including me! JJ created this card using our We Go Together Stamp Set and Avery's Alphas Dies. I love the creative way that she used the drums as the "o". :) Too cute! 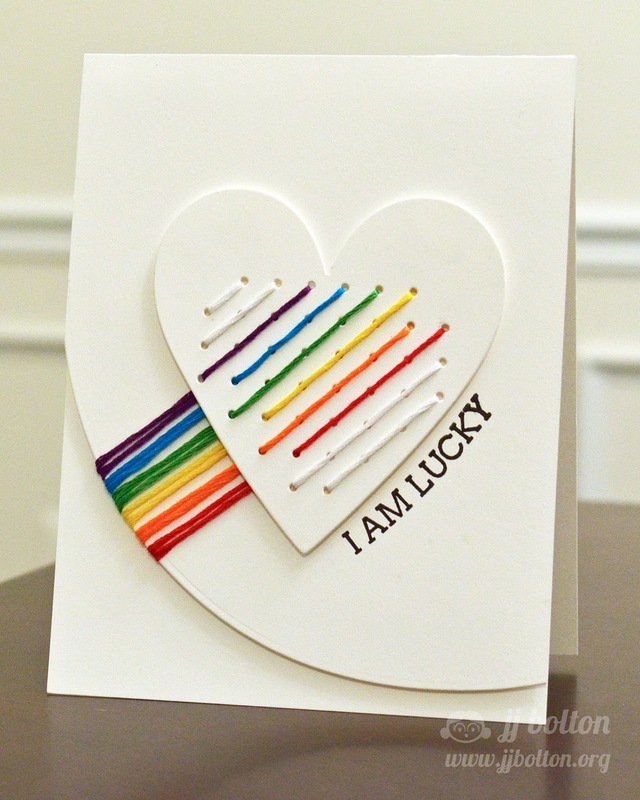 JJ created this next card using our Lucky clear stamp set. 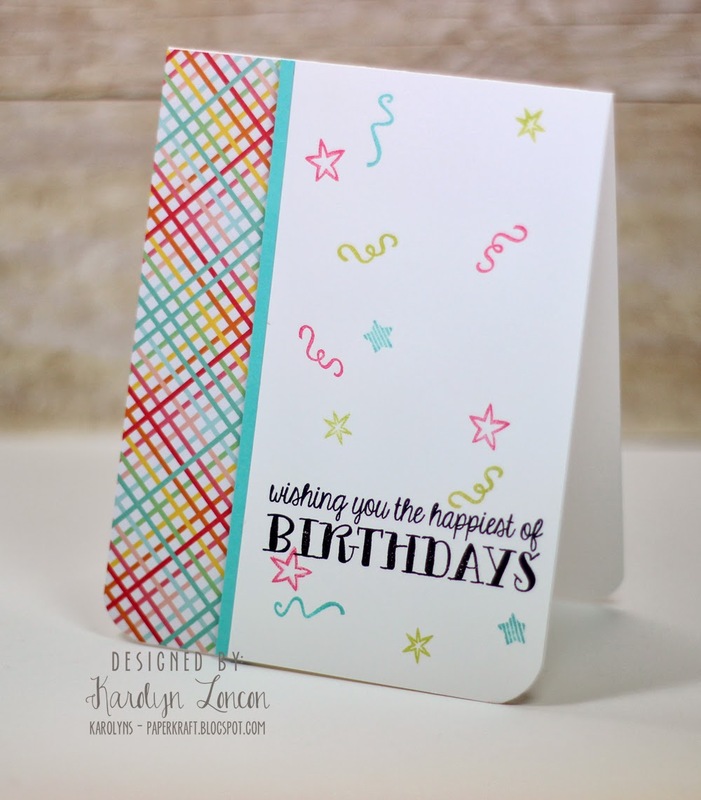 I love the fun color combination and the way she cut the sentiment into the top card panel. So clever! We have our guest designer Karolyn and our very own Maska with us today with these amazing projects. I love how Maska used our Bottle It Up and Laurels stamps and dies on this layout. They frame the picture perfectly! 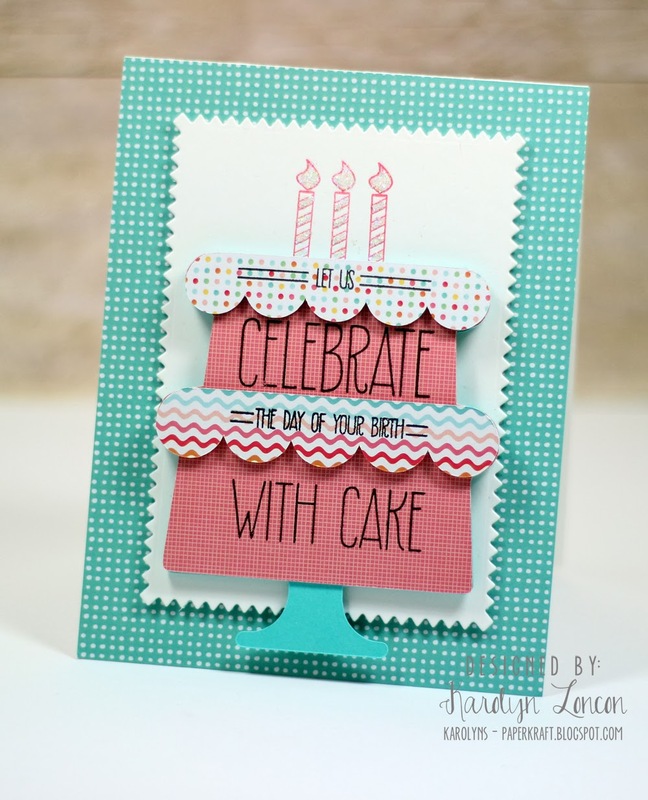 Karolyn created this card using our Cake & Candles stamp set. I love how she turned the sentiment into a cake itself. So clever! The candles from our Cupcakes stamp set look terrific on the top and it all looks great mounted on a die cut from our Pinked Elle-ments die. Today I have some more gorgeous projects to share with you. 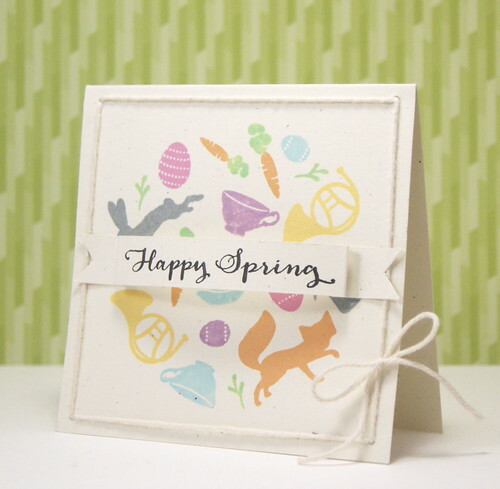 Kasia created this cute card using our Happy Spring clear stamp set. I love the way she framed the sentiment with the wreath and topped it off with the cute hat. Perfectly clean and simple! 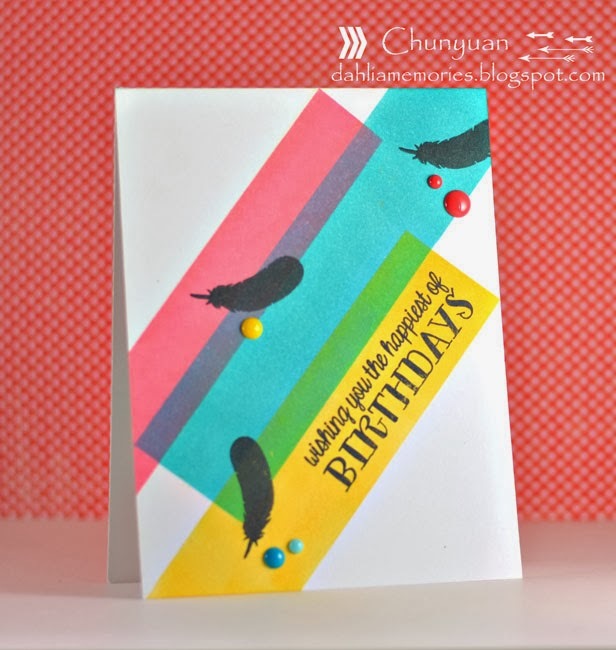 Chunyuan created these next cards using sentiments from our Cake & Candles stamp set and the feather image from our Love Notes clear stamp set. I love the bold and modern look of the first card. The watercolor strokes on the second card remind me a bit of candles and I just love it! Today I have some wonderful projects to show you. 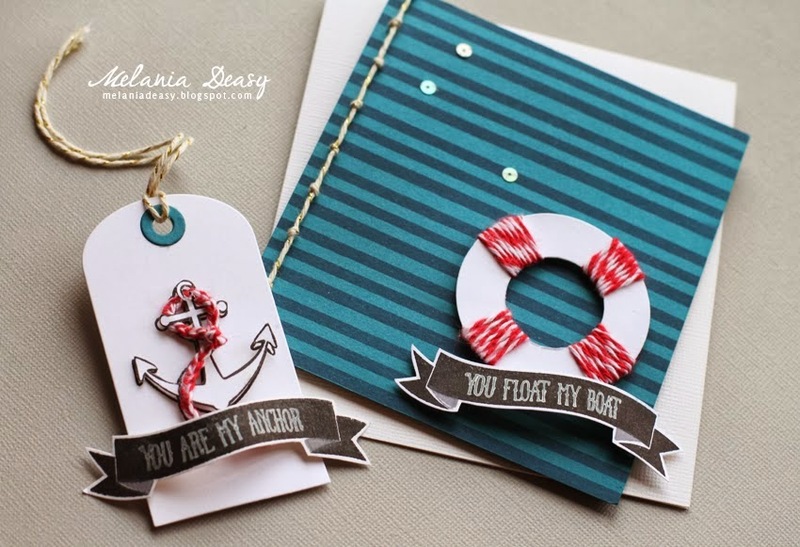 Yainea created these two cards using our Needle Little Love stamp set and Needle Little Heart Die. I love how she stitched buttons to the front of the Needle little heart die cut. 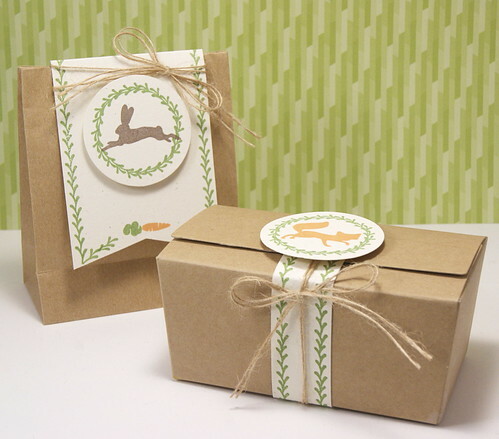 The cute little tag and doily finish the card perfectly. 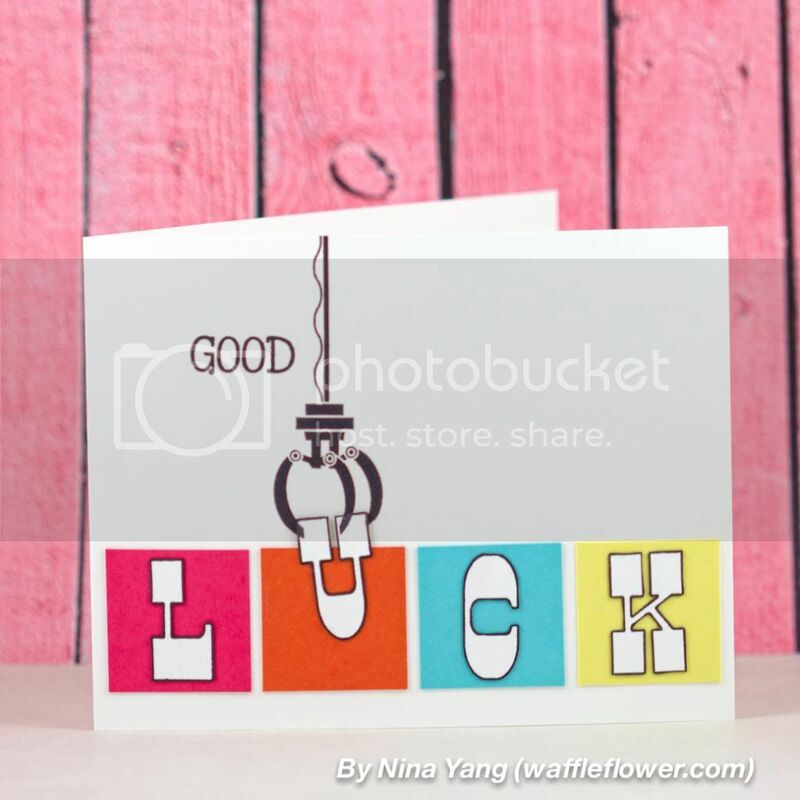 Yainea's colorful stitched twine background compliments the sentiment in this next card so well! I love the rainbow color scheme! 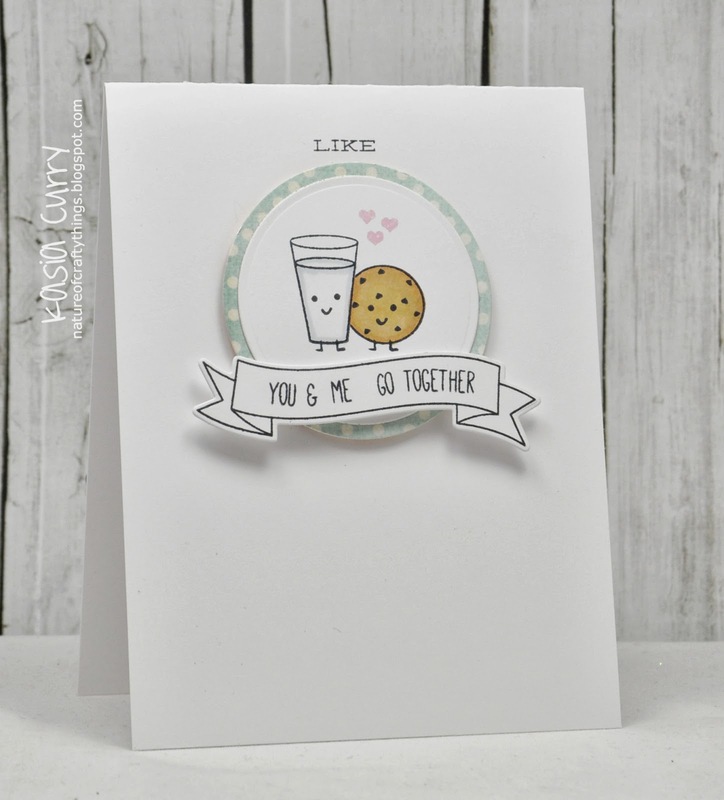 Nina created this clean and simple We Go Together card and I just love it. She used the tiny face stamp set to give these cute images some personality. Too cute! 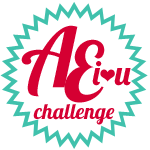 A New AEI♥U Challenge Starts Today! Welcome Karolyn - Our March Guest Designer! Celebrate with Yainea and Nina!